Dubai-UAE: 19 March 2018 – Every day, millions of women are exposed to household pollutants from their gender-entrenched role of being homemakers. Despite some strides in creating a more efficient and balanced work-life environment for women across the world, millions continue to be shackled to their domestic lives. According to the World Health Organization (WHO), indoor air pollution is the single leading environmental health risk for women in low- and middle-income countries, and a main cause of noncommunicable diseases like strokes, chronic obstructive pulmonary disease, lung cancer and heart disease. More than 60 percent of all premature deaths from household air pollution in 2012 were among women and children. LG Air Purifiers are designed specifically to deal with the harmful effects of these indoor pollutants and ensure women have safe, healthy and convenient home environment. Researchers have shown that women are disproportionately affected by poor indoor air quality due to their proclivity to metabolise pollutants more quickly than men. This results in higher toxicity that builds up in the body. The relative fat mass is also higher, meaning fat soluble pollutants tend to spread more in women than in men. Although heavier particulate matter like dust and soot are visibly avoidable, many invisible pollutants linger in the air that are hard to detect, which adversely affect women’s health. 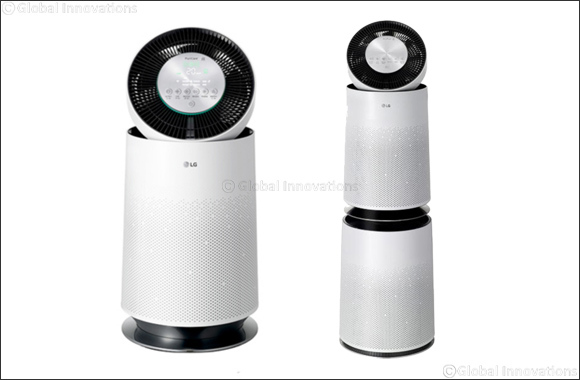 The intuitive LG PuriCare range of Air purifiers offer advanced filtration and detection technologies, which work together to mitigate heavy particulate matter and harmful household pollutants, making them a forward-thinking, eco-friendly, convenient and elegant solution to ensuring optimum air quality levels indoors for better health outcomes for women. The LG PuriCare range of Air Purifiers prioritises women’s cardiovascular health through its innovative approach to filtration and dispersion of clean air indoors. The 6-step advanced filtration technology removes dust, ultra-fine dust particles, allergens and bacteria, smog compounds, Volatile Organic Compounds (VOCs) and household gases like ammonia and formaldehyde, for comprehensive respiratory health. Research has shown that some of these harmful gases, particularly smog compounds, ammonia and formaldehyde (from cooking, detergents, aerosols and furniture) can have drastic negative effects on women’s health. But before filtration, detection is crucial, which is where the LG PuriCare Air Purifiers blows away its competition (pun intended). Using sophisticated smart sensors, the LG PuriCare Air Purifier is able to detect even the minutest particulate matter and gas molecules, clearly indicating and alerting users of the current status of the indoor air of their homes. It then automatically adjusts the fans and operational cycles, which means women can breathe easy going about their tasks. So bring home an LG PuriCare Air Purifier today and join LG in taking a step forward toward making the home a safe and healthy place for women across the world.